Product Specification:- Rotary Paddle switch is basically used for solid level measurements. Typically in measuring level of powdered or grannular substance in the tank. It is being installed like a side mounted level switch i.e. at the point on the tank where they want the switching action. Its working is very simple a rotating paddle will keep on rotating untill its rotation is objected by the solid material. Application Text : Exercise bands can be used by individuals and in clinics. A hermetically sealed-in-glass reed switch located inside the stem is actuated by a magnet in the tailpiece of the float, when the float moves upward due to rise of liquid level. When the liquid level falls the float moves downward, the magnet moves away and the Reed Switch contact breaks. We manufacture various kinds of Side mounted Level switch and their type varies with the process connection, application, MOC and other parameters. Displacer level switch is used where High temperature and High Pressure liquid level control is required. It gives potentional free 5A@250VAC 1C/0 or 2C/0 contacts for direct interface to Solinoide Valves, Relays Contactors, and Panel Lamps etc.It consists of a displacer, process flange, spring, enclosure, actuator & microswitch, flexible wire rope. Displacer is designed to suit the specific gravity of liquid. Displacer is connected to a coupler by flexible wire rope through a compression spring. The level of liquid inside the vessel or tank is indicated by the movement of the displacer. It works on the Archimedes principle. Displacer moves up & down with the rising or falling liquid level. As the liquid level rises it applies a buoyant force on the coupler in proportion to displaced liquid. It releases the spring & moves the actuator in the magnetic field to actuate the switch. As the liquid level falls spring gets its normal position & the switch releases. Float level switch with mercury free microswitch can be used for the level switching of water and water based solutions. It is available in single as well as multi float option. The float is hermetically sealed due to double chamber and its unique moulding process. Switch differential is set with the help of the counter weight that can be adjusted along the cable of the switch. Float guided level switch (FGS) is a most reliable instrument to sense the liquid level in the industry.It can be used with PLC, DCS, SCADA. 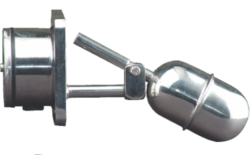 Top mounted level switches work on permanent magnet reed switch basis.The float has a magnetic mechanism within it and moves freely along the guide tube, which contains glass encapsulated hermetically sealed reed switches, located at preset positions. 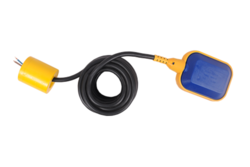 Float follows liquid level and magnetically actuates reed swith at preset positions to give a change over contact. Single / multiple switching is effected through single or multiple floats as required by application. Level Switches should not be used for direct starting / stopping of pumps. An external relay or contractor must always be used with the level switch. We manufacture various types of level switches depending on the process connection, application and specific parameters. Few are listed as following. Application Process Fluid (Options - Water, Diesel, Hydraulic Oil,Lube Oil, Petro Chemical, Acid, Milk, Dye Chemical, Hot water,Propane, methanol, alcohol netc. Radix's conductivity based level switches and sensors sense the level of water or other conductive liquids that have free ions. 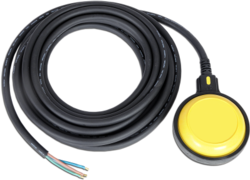 Radix's conductivity level switches offer a wide range of customization with solid / rigid electrodes or suspended or flexible electrodes (like a cable), options to meet any application’s needs. They are designed to control the level of all conductive service mediums, offering up to 4 different points of level monitoring and control..
Models are available with fixed rigid probes, with removable rigid probes, or with pendular electrodes attached to the housing using cable. 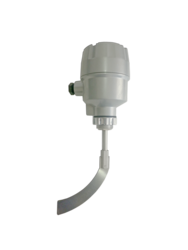 Float level switch with mercury free microswitch can be used for the level switching of water and water based solutions. The float is hermetically sealed due to double chamber and its unique moulding process. Switch differential is set with the help of the counter weight that can be adjusted along the cable of the switch.